Incumbent Kentucky Governor Matt Bevin will be challenged by three fellow Republicans in this year's governor's race. Four Democrats will compete in the May 21 primary to be their party's nominee this November. 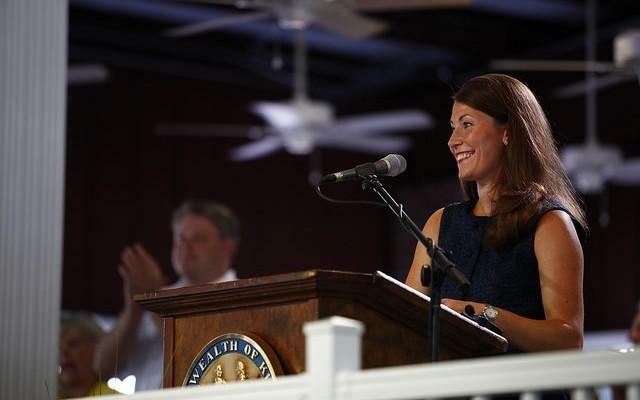 Kentucky's Secretary of State, Democrat Alison Lundergan Grimes, once seen as a rising star in Kentucky politics, recently announced she won't run for governor. Grimes is currently under investigation for her staff's questionable use of voter registration records. Warren County foster parents who adopted children with special needs say the county underpaid adoption aid. A federal judge will decide if a lawsuit brought by the parents against the county can proceed as a class-action case. Indiana State Senator and Perfect North Slopes CEO Chip Perfect faced conflict-of-interest scrutiny after he filed legislation to eliminate the state's child labor laws. He then amended his bill and now wants lawmakers to study the laws. The ski resort employs hundreds of minors. And a documentary about Hall of Fame Reds' catcher Johnny Bench is a hit, but even the trailer of the new movie about serial killer Ted Bundy, filmed mostly in Northern Kentucky, gets bad reviews. Joining Cincinnati Edition to discuss this week's top stories are WCPO digital reporter Paula Christian (@PaulaChristian_); Associated Press Kentucky Statehouse correspondent Adam Beam (@adambeam); political writer for the Lexington Herald-Leader, Daniel Desrochers (@drdesrochers); Indianapolis Star Statehouse reporter Kaitlin Lange (@kaitlin_lange); and WVXU Radio and TV writer John Kiesewetter (@TVKiese). Tune in to Cincinnati Edition Feb. 1 at 1 p.m. to hear this segment. PLEASE NOTE: Beginning Monday, Feb. 4, Cincinnati Edition resumes its Monday-Friday schedule and moves to noon. Kentucky Secretary of State Alison Lundergan Grimes says she won’t run for governor or any other statewide office this year. In a statement released Monday, Grimes said that she had been considering a campaign to become Kentucky’s second female governor but ended speculation that she would do so. “While I am grateful for the confidence, support and friendship from thousands of supporters across this state, I have decided not to run another statewide campaign this year,” Grimes said.